This article explores the impact of the Eurozone crisis on the EU´s ‘democratic deficit’. It starts with a presentation of the main scholarly views of the EU´s democratic deficit, distinguishing between four broad camps and showing how they differ in terms of their diagnoses as well as their solutions. Then the article moves to discussing the current relevance of the so-called ‘upgraded standard version’ of democratic deficit. Building on this approach and using its criteria, we assess the measures taken in the course of the crisis. The article focuses on the impact of the crisis on 1) the powers of the EU´s executive institutions, 2) the role played by the European Parliament, 3) the (non-)existence of the European political sphere and 4) the policy drift from voters´ preferences. Finally, the article summarizes our main findings and points to the opportunities and risks in the aftermath of the crisis. 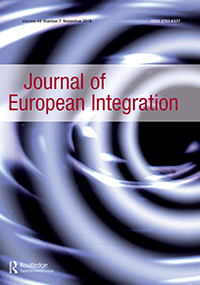 You can read the article published by the prestigious Journal of European Integration here.